Aston Martin is preparing to present their fastest roadster on 14 August at the Pebble Beach in California. It will be the fastest Aston Martin’s roadster, which has ever produced. 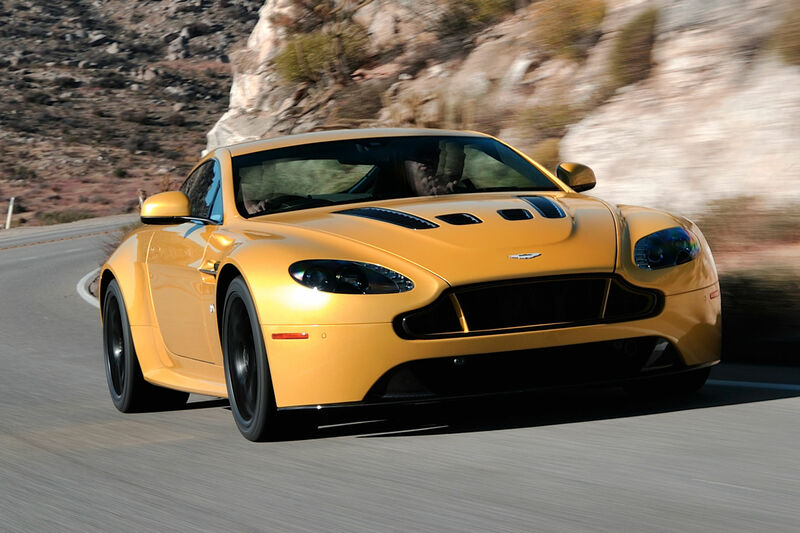 It is the V12 Vantage S. The novelty will get the 6.0-liter V12 AM28 unit that can issue the output of 565 horsepower. Owing to that powertrain, the car is able to accelerate from 0 mph to 60 mph just in 3.9 seconds. The maximum speed is 201 mph. The new roadster has similar main features as the coupe has such as hollow cam shafts, CNC combustion chambers, the brand’s seven-speed SportShift III automatic gearbox, and, certainly, rear-wheel-drive. The novelty also gets three model for better controlling the fierce power and the rear-drive dynamics. The suspension and the ABS system are also updated and improved. The design of the novelty includes a new grille of carbon fiber, lightweight alloy ten-spoke wheels, and the new interior with some carbon fiber accents inside. We will see the new Aston Martin’s Roadster by the end of this year.